Many varieties of fish are naturally drawn to small food items, often feeding on large quantities once they get started. In the wild, it seems to be an adaptation to making the most use of unexpected supplies, such as a sudden hatch of a particular aquatic invertebrate, for instance, and with a bit of care, this in-built behaviour can be turned to the angler’s advantage. The trick to capitalising on this lies in creating an artificial glut of a given kind of feed in a relatively small area, the idea being to fool the foraging fish into responding instinctively to what they perceive as a surprise bonanza. Having prepared the ground – hence the expression “ground-baiting” to describe the technique – it’s then simply a question of adding your suitably baited hook in amongst the rest – and waiting. A visit to most tackle shops will present you with a bewildering array of pre-prepared ground-bait mixes, in any number of colours and smells – but many of these have been developed for match fishing, which means they may not always be suitable for your needs. Their strong smells and flavours are designed to attract fish quickly – which, of course, sounds ideal until you allow for the fact that the sensory over-kill can eventually put them off. Unless you’re planning a relatively short fishing expedition, you’re often best off preparing your own – and on that basis, particle baits are hard to beat. Sweetcorn enjoys a good reputation as one of the most effective particle baits for a range of different kinds of fish – and with it readily available in tins and frozen packets from supermarkets everywhere, it could hardly be much simpler to obtain. Many anglers prefer the tinned variety, partly for its greater convenience, but principally because the sticky, corn-starchy liquid seems to enhance its attraction. It can also be flavoured fairly easily with almost anything you choose, which can be good news in areas where it has been used extensively. 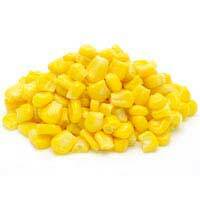 A change of flavour – and colour too – can often give sweetcorn an added boost and get the fish interested once more. With the exception of sunflower seeds, all of these need a little preparation before use, involving soaking and cooking them briefly – typically a 12-hour soak (or 24 hours for either of the types of nuts) and a 30-minute boil. It’s an important step to get right, for a number of reasons. Firstly, it stops the seeds from germinating; secondly, it softens and improves their appeal as bait; thirdly it allows you to flavour them during the process, if desired and finally it reduces the chance of them causing harm to fish or other wildlife, since they now won’t swell up when eaten. It’s worth remembering too that over-cooking can actually reduce their attractiveness to a fish, so don’t be tempted to give them a bit longer. As one old angler once wisely said when asked for his tips on particle baits, “take plenty.” It’s good advice and it works on two levels. On the one hand, if you’re trying to encourage fish to get so preoccupied with feeding on a particular kind of tasty morsel that they don’t spot your hook, then you’ll obviously need to make sure you have enough to keep up the deception. On the other, just because a given bait is your personal favourite, it worked on exactly the same stretch of water last week, or all the angling books tell you it’s a “dead cert” for a particular species, fish are fish – and fickle things they are too. If today’s the day that they just won’t go for it, you’re going to be in for a very quiet time. Bring a good range of alternatives along with you, however, and with a bit of luck, that should be an entirely different story!